Azizan Paiman will be presenting his art performance called “Putar Alam Cafe” in Singapore Biennale 2016. 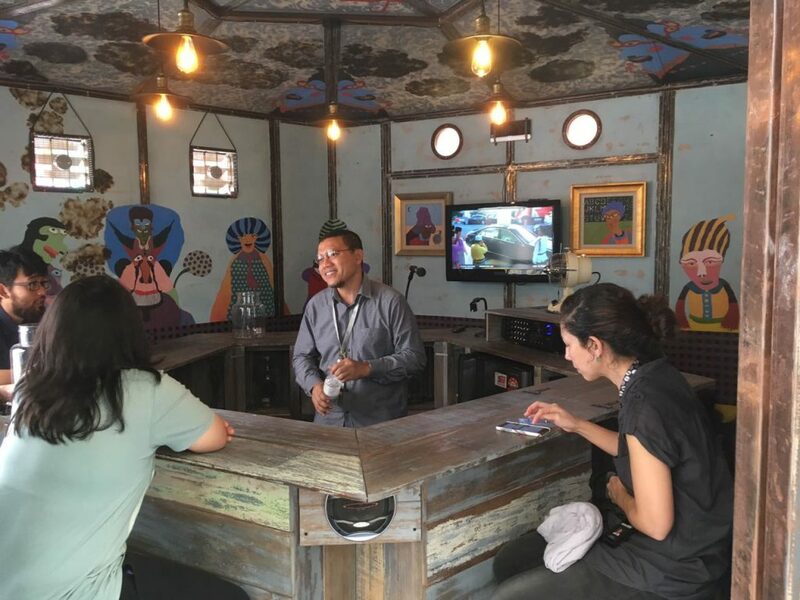 Deriving his idea from The Pentagon, Putar Alam Cafe is a five-sided polygon and interactive space where Azizan Paiman will be serving as the bartender in the middle. His Putar Alam Cafe menu includes “Sky Kingdom Juice”, “Capitalist Soda” etc. The mobile space is to allow visitors to have discussion or debate over various contemporary issues. 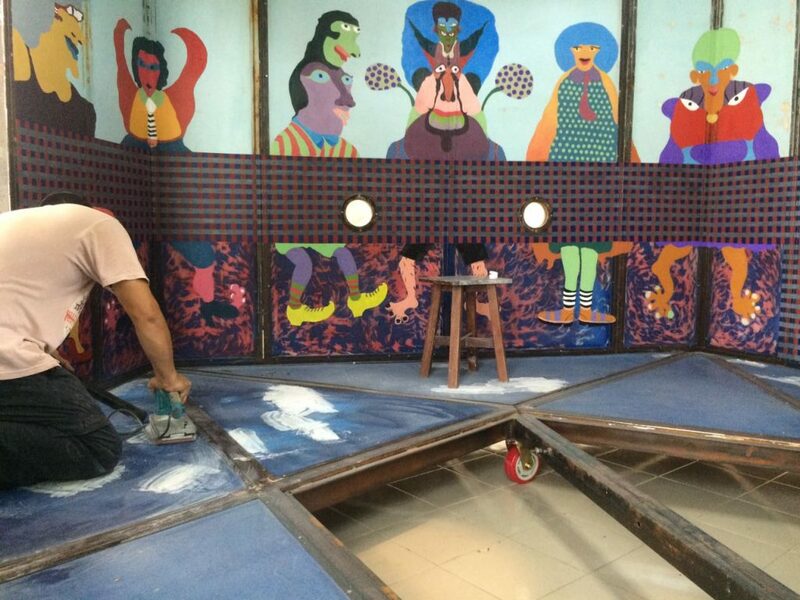 Azizan Paiman is known for his wittiness and humor in most of his artwork and art performance. He likes to challenge his audience with a deeper thought in his artwork. He has performed several art performance, one of his first performance was in 1999, the 1st Fukouka Asian Art Triennale in 1999, where he presented “Ais Krim Malaysia”. 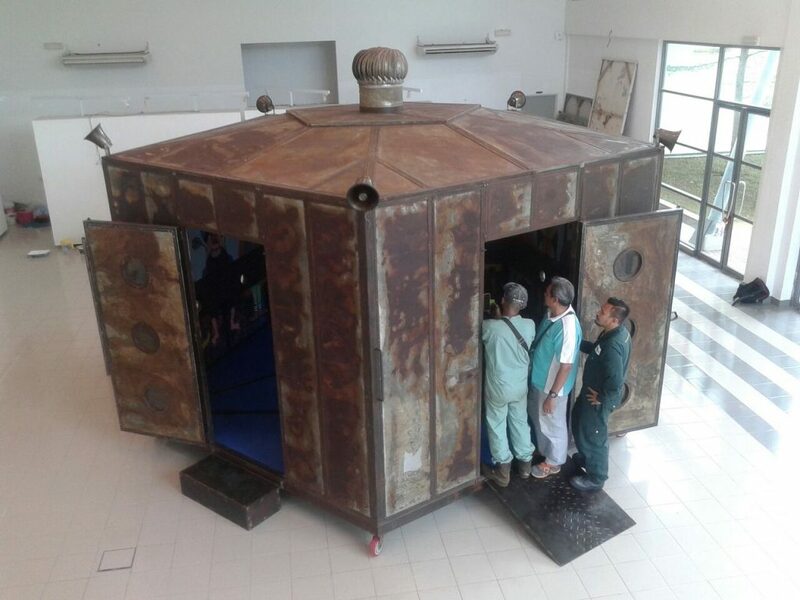 For more information on the Singapore Biennale 2016, please click here. This entry was posted in Uncategorized by Antoine Frémon. Bookmark the permalink.